The end of November caught me off guard this year, and I’ll admit that I’ve been off my contemplative game in recent weeks. I know from many years of experience that the times when life is at its busiest are when it’s most crucial for me to take a step back and reflect on what’s going on at the soul level. 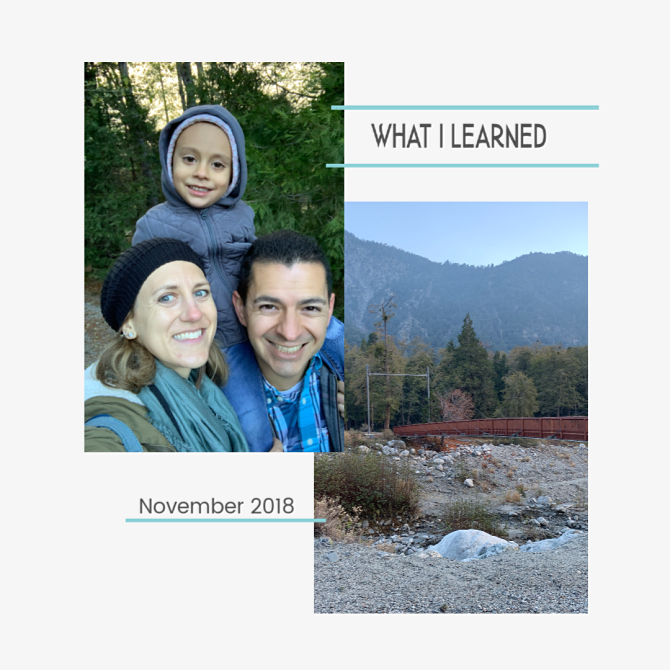 I certainly could have dug deeper this month, but some reflection is better than none, so here’s a bird’s eye look at a few things I learned in November. 1. Relying on road trips for my writing time is a terrible blogging strategy. We spent nearly fifty hours on the road this month on our way to and from California for a family vacation. I’d planned on dedicating all of those hours to writing, which is something that I’ve done in the past. But this trip, I just wasn’t feeling it. Physical illness, combined with a low mood, fewer daylight hours, and awful cell reception (we’re still not sure why it was worse this trip) meant that I got significantly less writing done than planned. In the future I’ll scale down my writing goals and schedule a blogging break during vacation time. 2. For our emotional health, it’s just as important for us to process ideas as it is to process emotions. I’ve learned a lot lately about how unprocessed emotions lead to physical ailments as stress and emotional trauma literally camp out in our bodies and cause problems. I was intrigued to hear the hosts of this podcast mention that the same is true for unprocessed ideas: when something new comes up for us and we don’t take time to work through it, there can be longterm health complications. I’d be interested in seeing statistics on the correlation between information overload (an epidemic for our current generation) and chronic illness. 3. There are two types of writers: writers who think to write and writers who write to think. I can’t recall where I heard this mentioned this month, but I wrote it down—and then thought about it. Clearly I’m one who writes to help me think. What about you? 4. Bringing a preschooler to an OB-Gyn appointment isn’t as abnormal as you would think, but it IS weird. File this one under things I never thought I would do. 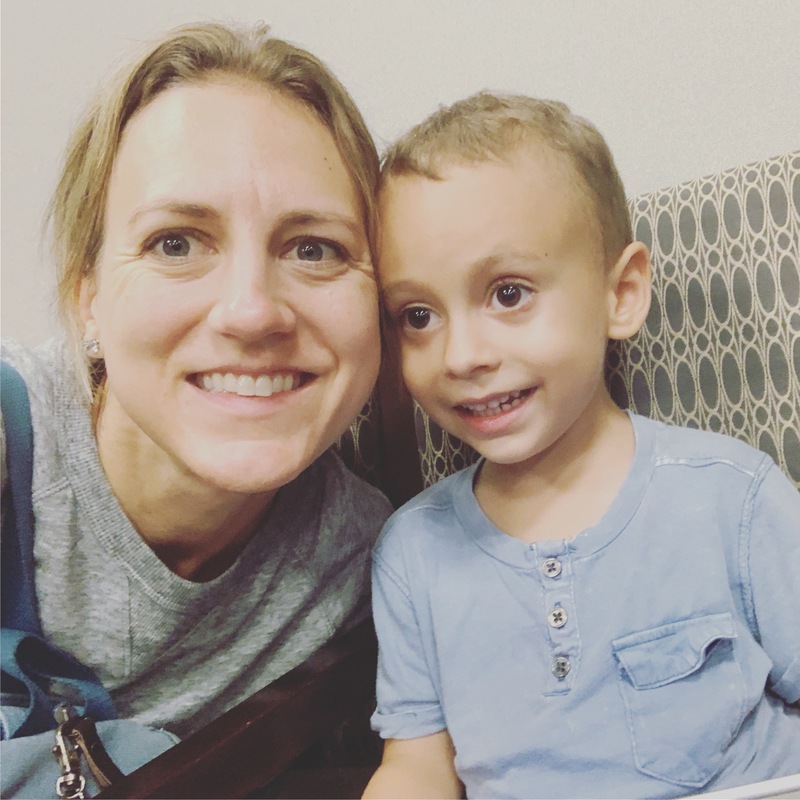 But when you are going through infertility and the lady-doctor’s office practically becomes your second home, sometimes you have no choice but to bring your kid along. I was nervous about how it would go, but the nurses assured me they see kids come in with their moms all the time. And after I posted a pic on social media, several friends mentioned they, too, have had their children accompany them to their OB-Gyn appointments. Unfortunately, my strategy to occupy Charleston with the iPad during my visit didn’t work out: he was extremely interested in what was taking place “between Mama’s legs”, and I’m fairly certain we no longer need to have the Birds and the Bees talk with him—that visit just about covered all the basics (eek!). I nearly choked on my Diet Dr. Pepper when I heard Seth Godin say this to Tim Ferriss on this podcast. Authenticity has become a core value of our culture, and I’ve largely been on board. But I appreciated Godin’s explanation: he talked about how faithfulness to authenticity can get in the way of our values and our obligations. He gave the example of a surgeon who quits mid-surgery because it doesn’t feel authentic to continue with the procedure—this is absurd, yet certainly drives the point home. Godin admitted to not always being authentic in his speaking engagements, because in those moments, his commitment to giving a good talk is more important than his authenticity. 6. My grace for others needs to extend to myself, and that includes my past self. In this year focused on grace, one of my biggest hurdles has been learning to give grace to myself. 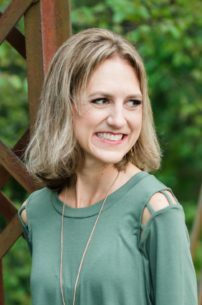 In talking with my therapist a few weeks ago, I realized that while I’ve come a long way in being kind to my current self, I still am quite critical of decisions I made, and who I was, in the past—as if maligning past versions of myself could shine the spotlight on how far I’ve come and elevate who I am today. I’ve learned this year that criticism of one individual has a tendency to bleed into criticism of others, so I’m making an effort to increase my capacity for grace by acknowledging that past Kendra was doing the best she could with what she had. 7. My introduction to the Enneagram was much longer ago than I had realized. It’s no secret that I’ve grown Enneagram obsessed over the last few years, and I thought it was a relatively new discovery for me. This month I reread The Gift of Being Yourself, which I first read in 2011; in that book, author David G. Benner gives a fairly thorough description of the model and the nine types, so I was apparently introduced to the Enneagram more than seven years ago (and maybe even earlier, who knows?)! I’m so glad that this information cycled back around to me, even though I didn’t latch onto it the first time. 8. Packing cubes are a traveling game-changer. Since moving to Texas, we’ve made two annual trips home to visit family in California (this November marked our sixth trip). 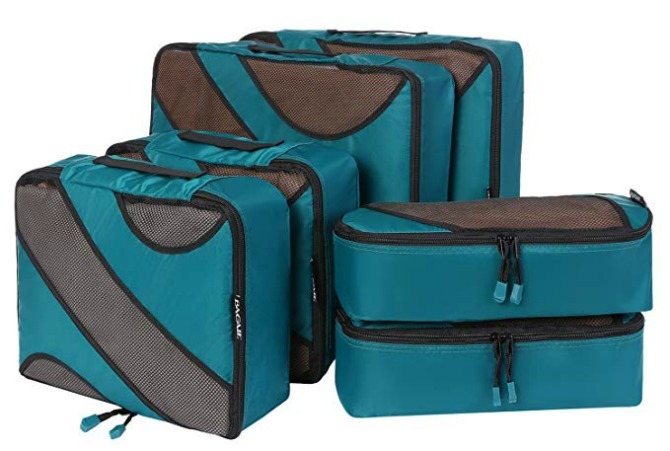 While I love our visits, I hate packing, so I made my job a little easier this time with these packing cubes. I spent less than $30 on the set of six in varying sizes, and it wouldn’t be an understatement to say that they totally transformed my packing experience. I was able to group similar items in each cube (one for pants, one for undergarments, one for scarves and beanies), and the cubes fit nicely into my duffle bags. When we got to my parents’ house, and then to family camp, it was easy to unpack the cubes without having to completely empty the contents of my bags into drawers. I don’t know why I put off buying these for so long, and I’m going to make sure we get an extra set for Luke to use for our next vacation. 9. I am no longer a procrastinator. For years, my perfectionism manifested itself in fairly extreme procrastination (especially in school). In a recent conversation with a friend who procrastinates, I began to say that I tend to put things off too—then I caught myself, because this description no longer fits. In fact, I’ve become more of a pre-crastinator: I’ve gotten so uncomfortable with the notion of putting things off that I now tend to them ahead of what would be the optimal time (a new hangup I should probably explore). My takeaway here isn’t necessarily about procrastination; it’s about the labels we hold on to, long after they suit us, and how to know when it’s time to shed them. 10. I’ll know that productivity and planning are no longer serving me when they cross the line from being life-giving to life-taking. Tagging onto #9—I LOVE to plan and generally find lists and front-loading my work to be effective in alleviating stress and streamlining my life. Sometimes, though, those lists can consume me. To help determine whether my productivity efforts are being helpful or harmful, I’ve begun to ask myself this question: is this checklist/planning enhancing my life right now, or detracting from it? If it’s the latter, it’s time to set the lists aside and give in to a little spontaneity. With this new framework I can see that knocking out my Christmas shopping by June isn’t necessarily a good strategy. 11. I’m pretty good at building train tracks! We got Charleston an elaborate train track for his second birthday, and though nearly two years have passed since the train came into our lives, I’ve mostly left track-building up to Daddy because it wasn’t really in my skill set. But Luke’s been home a lot less these days, so Mom has taken over train track duty. It turns out I’m not too bad at it! Charleston still likes Daddy’s tracks better, but it’s been good to let go of those limiting beliefs and just have fun playing with my son. 12. 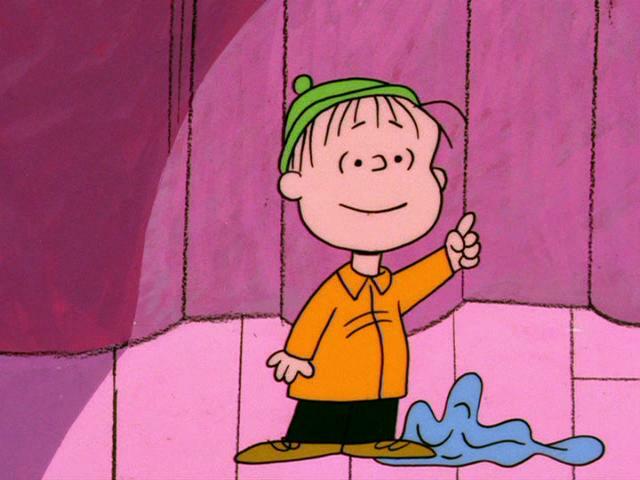 In Charlie Brown Christmas, when Linus is reading from Luke 2, he is actually saying “sore” afraid. I’d always assumed this was just an odd pronunciation of the word “so.” Because I usually stick to the NIV version of the Bible, where the word “terrified” is used, I hadn’t gotten a visual of the word. This past week, my Bible app defaulted to the ASV version and I saw that the word used is indeed “sore,” not “so.” Turns out Linus knew what he was talking about! A little research told me that “sore afraid” could be translated to “achingly afraid.” As one writer puts it, “Our fear, the sore fear of mankind, comes after, when we hear the tidings that shake the world. . . Yet we are not to be paralyzed by the fear. Far from it: the fear is sore, the fear brings feeling back into numb limbs, it rushes blood into stony hearts, it forces open the eyes and the ears.” I’ll never hear this passage the same way again. 13. I have a tendency to verbally bulldoze others, especially during debates. During a political conversation with my parents this month, my mom called me out for cutting her off whenever she tried to make a point I disagreed with. Later, I unpacked the conversation with Luke and he admitted that this is something I do frequently. I hadn’t realized this was a habit of mine, and it’s definitely something I need to work on. I’d like to be someone who is open to hearing others’ viewpoints, even when they are different from mine, and to do that I need to stop and actually LISTEN. 14. I can’t rely on emotions to support my positions; my views also need to be grounded in fact. This was yet another realization I had about my conversational tendencies. I am generally someone who relies more on feelings and impressions than on details and facts (it’s the N in my INFJ). This is fine, but doesn’t make for a compelling argument in a debate. I don’t think there’s anything wrong with being passionate about a topic—even when that passion stems from vague intuition—but if I want to convey my perspective to others, I need to have data to back myself up. 15. With 3-year-olds, simpler is better. A full recap of our vacation is headed your way this Friday, but one of my biggest takeaways from the trip was that it doesn’t take much to impress or entertain my son. 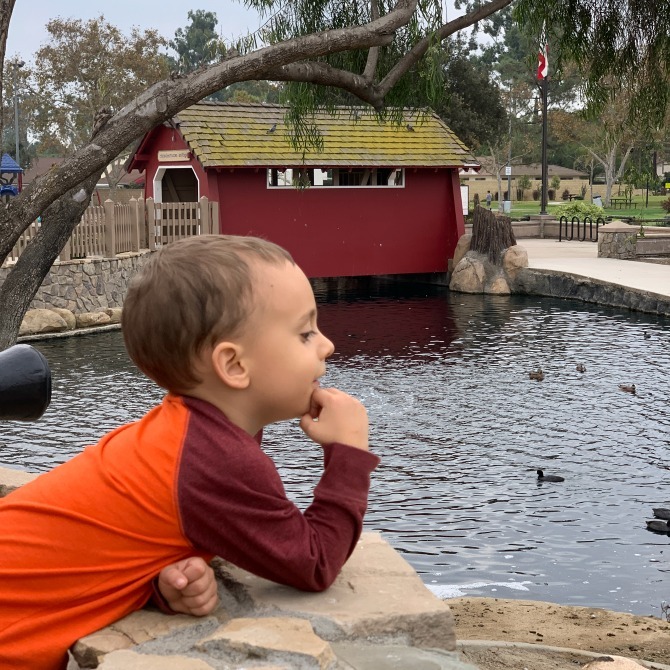 Though he had a great time doing more elaborate activities on our trip, like going to Knott’s Berry Farm and camp, he had just as much fun visiting a free playground, and playing for hours with a megaphone that came in a McDonald’s Happy Meal. This is probably true for adults, too: we think that the more money and planning we throw at an activity, the more joy we will derive from it, but that’s seldom the case. Not that elaborate activities aren’t great, they just aren’t always necessary. By the way, his obsession with that Kid’s Meal toy seriously had me rethinking my Christmas gift strategy! This month I’m linking up with Emily P. Freeman to share what we learned this fall. I’m forever thankful to Emily for introducing me to this monthly reflective practice, and it’s an honor to join in with so many who find value in regularly taking inventory of all we’ve been learning. What was the biggest thing you learned in November? ← 2018 Reading Challenge: A book by an author from another country.